Jonathan Hickman Takes the Marvel Comics Shilling? Home » Comics » Jonathan Hickman Takes the Marvel Comics Shilling? 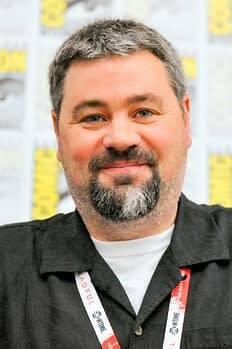 It looks like Jonathan Hickman may have signed his next contract with Marvel Comics — but we understand that previously he was all ready to go at DC Comics. The switch came down to a number of things. C.B. Cebulski as Marvel’s new Editor-in-Chief was a major reason for Hickman to change his mind about Marvel. But at DC Comics, he was planning to write the new Legion of Super-Heroes series. However, I understand that there were internal delays, with Geoff Johns having specific characters and teams that are off the table until Doomsday Clock concludes, and that series has been getting a lot later, switching from monthly to bi-monthly. And they included Justice Society, Captain Marvel, the Legion, and more. Marvel Comics committed to a multi-book deal, considerable creative control… and getting on with it sooner. UPDATE: Jonathan is careful with his wording. And we will endeavour to find a better photo.